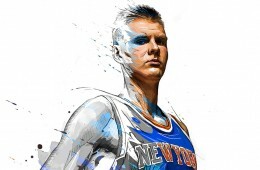 Artist Yann Dalon captures the sheer confidence of Kristaps Porzingis in this digital painting. 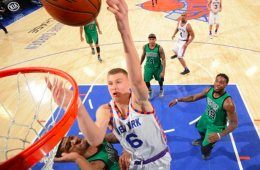 New York Knicks rookie forward Kristaps Porzingis aka The Zing of New York. 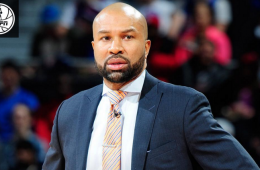 Just days before the all-star break, New York Knicks head coach Derek Fisher has been fired. 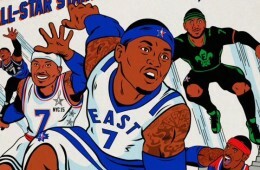 Artist Elliot Gerard channels his inner Jack Kirby to produce this dope comic book cover, featuring New York Knicks all-star forward Carmelo Anthony. 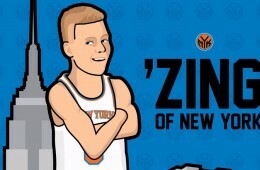 A digital world, where the Knicks have Caramelo Anthony, Kristaps Porzingis and the rest of the squad. 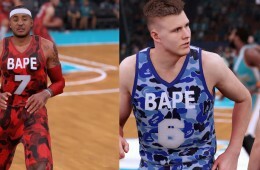 Rocking camouflage uniforms created by A Bathing Ape. Listen to this as you drive one of your matching Lamborghinis through the snow. 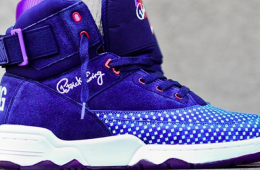 Ewing Athletics will be releasing the Ewing 33 HI All-Star edition to coincide with the 2016 all-star game in Toronto. 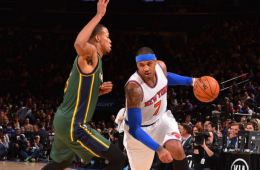 Carmelo Anthony continued his climb up the all-time scoring list in a close Knicks win over the visiting Jazz. 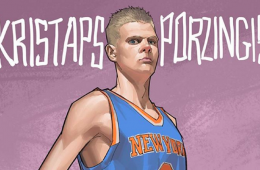 Rookie sensation Kristaps Porzingis is a different kind of New York Giant. 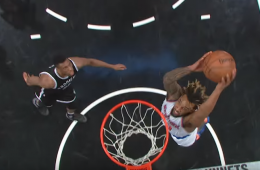 Derrick Williams tied a career-high with 31 points in a Knicks loss to the Nets, that included four dunks even the crosstown rival fans could appreciate. 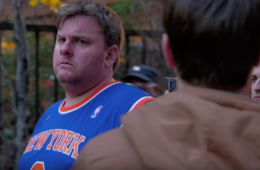 To complete his journey into the hearts of New York fans. 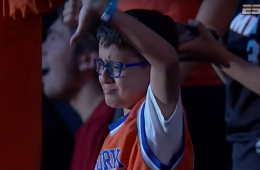 Kristaps Porzingis met the young Knicks fan that filmed himself crying when he was drafted. 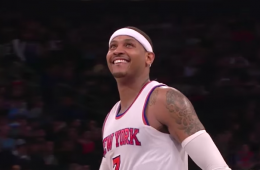 Carmelo Anthony put together an impressive complete game performance in another Knicks win. Finishing two assists shy of a triple-double. 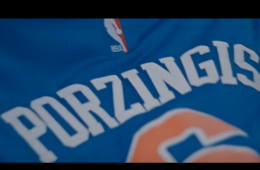 So what happened to all those people who booed Kristaps Porzingis? The folks from The Kicker investigated.